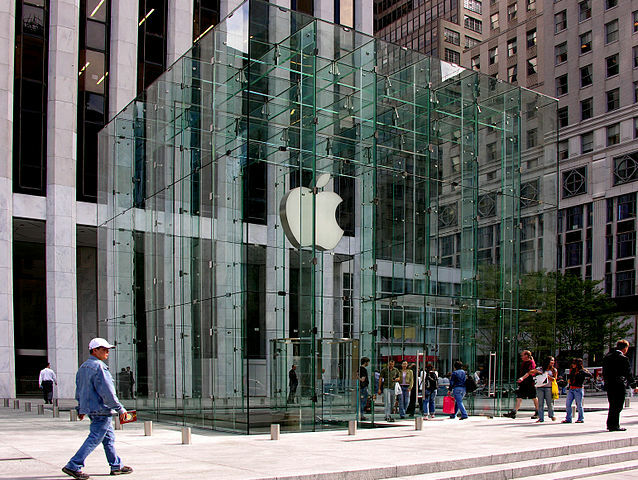 A couple weeks ago Apple was recognized again as having the most profitable retail space per square foot in the world. They topped the second place company (Tiffany Co.) by almost double! Though I’m sure your church administrator would like to increase your tithing per square foot, I think there is a lot more that we learn. Sometimes, I want to go into a store and browse the products and buy something without having to talk to a bunch of people. I appreciate someone saying hello but I don’t want to be distracted by sales people. And they respect that. Apple gives me my space and allows me to set the boundaries for my interaction with them. You can even make a purchase with your iPhone without ever talking to a sales person. Sometimes people come in the door of our churches needing the same anonymity. They aren’t ready to shake the pastor’s hand or meet everyone around them. Sometimes people are hurting, skeptical, or really introverted, and there’s nothing wrong with any of those things. Neither is there anything wrong with someone waiting to sit in the back and check it out totally anonymously. We need to value our cultures “check it out” value by not forcing people into fake interaction. We need to be intentional about how we facilitate a healthy level of anonymity. How many of our greeters/ushers/touch team are really spending their time hanging out with their friends or reading a newspaper. I recently walked into a church on a Sunday morning, walked up to an information desk and stood for a little while before being noticed because the information volunteer was reading the sports section. All staff and volunteers need to be trained to to three things: 1. Understand what it looks like when someone is lost or confused 2. Be able to answer basic questions 3. Know where to go to get any unknown question answered right away. They also need to be given permission to be late if they are helping someone like this. More than that, we need to engender a culture of awareness. Instead of being on a mission to get wherever we are going we need to slow down and look around. We need to increase our awareness! Apple stores look cool, and yet not intimidating. They are simple, clean, and open. They spend a lot of time and money thinking about how the stores look, feel, and flow, and it shows. We need to be thinking through the same things. We need to be asking ourselves that we are communicating about Jesus through our physical spaces. Do they feel warm? Do they feel current? Do they make sense and flow? Do they feel clean and open? I don’t think that your church or youth room needs to look like and Apple store (unless you are thinking about selling consumer electronics), but we need to spend the same kind of time and energy thinking about the aesthetics of our facilities so that they are saying what we want them to say about who we are and why we are there. How easy is it for a person to identify who at your church is there to help? How does someone know where to go for help? I am far from being the person who wants everyone to wear the same shirt on Sunday, but if there is no other way you can see to identify the people there to help, go buy some polos! You might think Apple stores are about selling Apple products. They’re not. Apple stores are about community. Don’t get me wrong, they want to sell products and aren’t sitting around in a circle sharing what their spirit animal is, but they believe that the best way to sell products is to have the store be about servicing the Apple community. You can walk into any Apple store, check your email, post on Facebook and charge your iPhone without ever feeling that you are sneaking around. In fact, many Apple stores are full of people who are not there to buy anything, but are just using the wifi or the computers for whatever they wanted to do. And, if you do need something fixed, that is the first place you go. They are known for their first-class customer support. Each support person is given incredible freedom to comp services and give free replacements to help customers. Why? Because Apple actually cares about their customers. They want them to be happy, and they want them to feel like Apple cares about them more than profits. I wish church was like that. So many times I have felt like I was intruding or inconveniencing someone. I have heard over and over people express that the church only cares about attendance rather than people. It is time for us to shift our focus from attendance to care. And not just superficially. We do not do care for people so that more people will come. We care for people because WE CARE. There is not a bit of wasted space. Tables are spaced far enough apart to be comfortable, but no space is empty or unused. It is all used to the max. If I had a dime for every church parking lot that sits empty all week long, I’d be a rich man. I understand that you may not have a bunch of things going on, but there are people in your community who need space. There are small business groups that have to pay for meeting rooms in hotels, there are board meetings and civic groups that would love to be able to use your space. And, imagine if you staffed it with volunteers who cared for them. What might happen if those people began to feel about your church the way they feel about the Apple store? That’s it. Time for me to go talk to my team about making our church more like the Apple store.